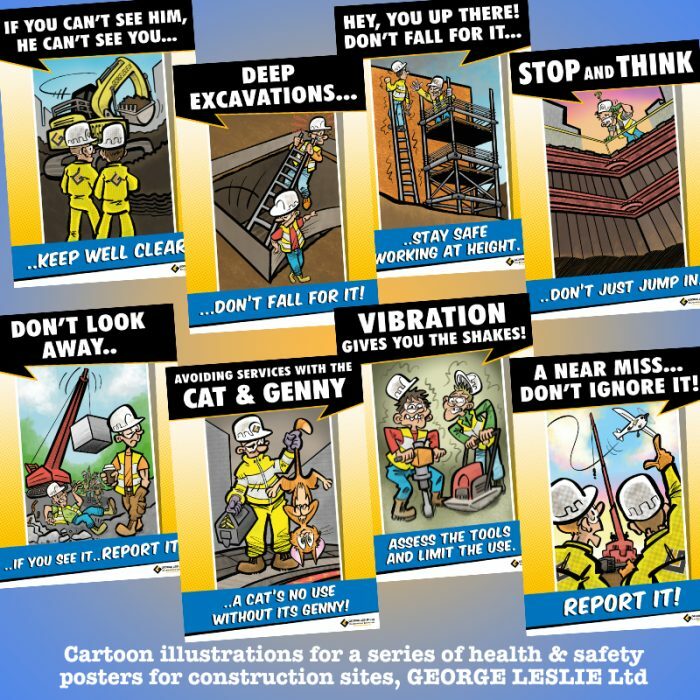 We recently completed cartoon artwork for a series of fourteen health & safety posters to be used on construction sites by civil engineering contractor George Leslie Ltd. The posters were intended to take a relatively light hearted approach to what is naturally a very serious subject, contrasting the method of “good” characters with the incompetence or reckless behaviour of some “bad”. 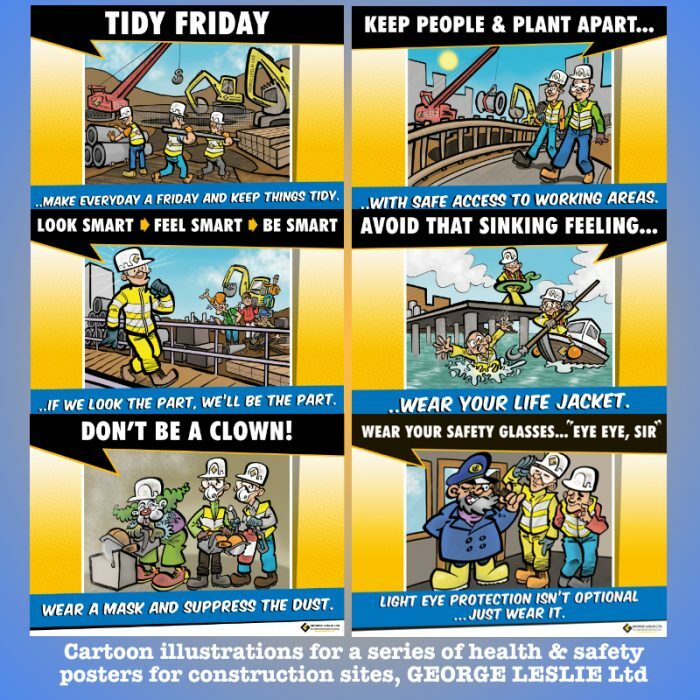 A lively and comic approach will help make the posters stand out while a uniformity to the colour palette and layout keeps them looking suitably coherent. Despite being funny cartoons portraying some slightly absurd situations in order to make their point, a degree of accuracy was required in terms of machinery and equipment as well as they way in which the “good” characters were dressed and working. Like most of the corporate jobs we do a certain number of drafts were submitted to the client for approval and comment as we want along. With thanks to Tommy Ross for his excellent design work. 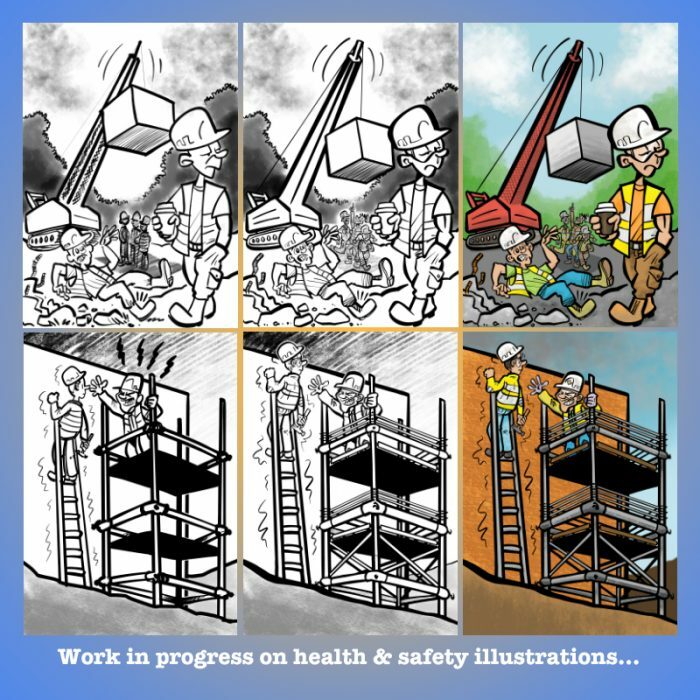 You can watch some the cartoons coming together in the video below.